If a recipe calls for white wine vinegar, can you use white vinegar as a substitute? This question has been asked so many times on the internet, but many of us still do not know the answer. In this article, we will learn the difference between the two types of vinegar and if they are indeed interchangeable. White vinegar, also called “distilled white vinegar” or “spirit vinegar” in the United Kingdom, is a colorless vinegar made from distilling ripe grain (e.g. corn) and water. It is the most common type of vinegar used across the United States. With an acidity level of about 5% to 8%, the sourness of white vinegar can be overpowering in recipes that have delicate flavors. However, it is commonly used for salads, marinades, meat preservation, vegetable pickling, baking, and other cooking recipes. In many countries, it is also used as a condiment. White vinegar has the ability to remove mineral build-up on smooth surfaces (e.g. glass) which is why it is also extensively used as a natural household cleaner and disinfectant. White wine vinegar is a type of vinegar made from white wine such as pinot gris and champagne. Quality white wine vinegar is produced by using premium grapes tand is aged in wooden barrels for up to two years to develop a rich flavor. With an acidity level of 5%, white wine vinegar has a complex but mellow taste with a hint of a fruity flavor. It is great for savory dishes, salads, and many cooking recipes. It can also be used to infuse other types of vinegars with spices, fruits, and herbs. White wine vinegar is extensively used in Cyprus, Israel, and other countries in the southern and central regions of Europe. What, then, is the difference between white vinegar and white wine vinegar? One of the differences between the two types of vinegar is that white vinegar is made from distilled grain (e.g. corn) and water, whereas white wine vinegar is made from white wine such as pinot gris and champagne. 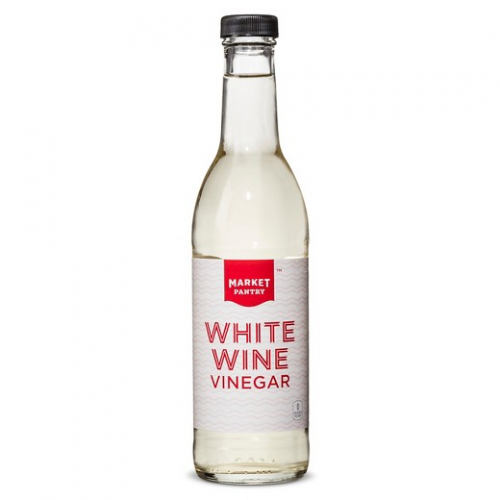 In general, white vinegar has a higher level of acidity (5% to 8%) than white wine vinegar (about 5%). 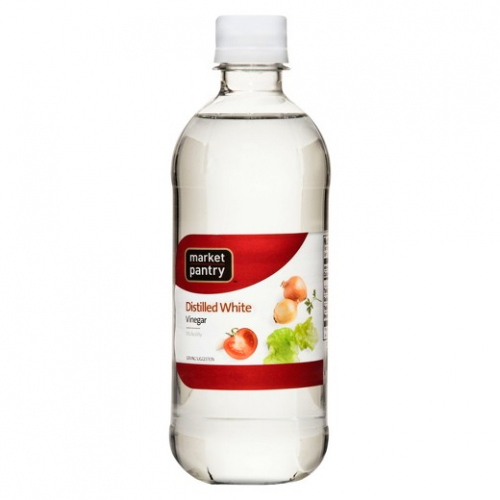 White vinegar has a harsh sour taste, while white wine vinegar has a mellow fruity taste. Additionally, white vinegar is also used as a natural household cleaner and disinfectant, whereas white wine vinegar is not.